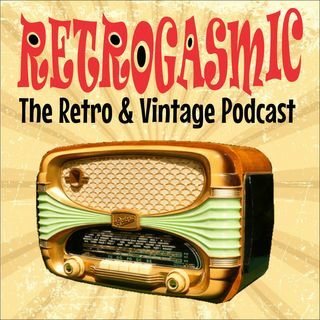 The podcast for all things Vintage, Retro & Kitsch! LES BAXTER - The Emperor of Exotica! Ep16. Ep10. SWING! Dancing, Big Bands, Joggling and the Flamingo Trot! Recliner Rockers, Dreadlocks, Rockabilly and Instruments for Giants! Ep9. We are very proud of our first episode which features the inspirational Fran Robertson from The Beauty School Dropouts. Grab a cocktail, have a listen, and if ya dig it give us some love and share with your buddies and in any vintage groups you're into, we'll need all the support we can get to make this happen! !